See the Occupational Therapist in your hospital, in your local HSE Health Centre, or privately. They can assess what you need, help rebuild your skills, do reports, help you get equipment and apply for grants.See Health and independence for where to access an Occupational Therapist and where to find equipment, aids, and other services you may need. If you’re renting from your council, contact them. If they approve any adaptations, they’ll cover the costs.If you’re a home owner or renting, you may be entitled to the Housing Adaptation Housing Grant or Mobility Aids Housing Grant from your local council. These grants can help towards the costs of making changes to your home. If you don’t qualify for a grant, and can’t get a bank loan, you can apply for a council Home Improvement Loan. See more on www.citizensinformation.ie or contact your local council. Contact your local council to apply to go on their Housing List for the Council, Voluntary Housing Associations and Housing Co-operatives. See www.iwa.ie/house for the 10 steps to applying for accessible social housing. Irish Wheelchair Association Housing Support Service gives information and advice on accessible housing. t: 01 818 6400 w: www.iwa.ie/house. Irish Council for Social Housing has details of housing associations in your area. w: www.icsh.ie. If you’re renting privately and want to apply for rent supplement you also need to be on the council’s housing list. Threshold can provide you with free independent advice and support if you’re having problems renting, particularly if you’re at risk of homelessness. t: 1890 334 334 w: www.threshold.ie. 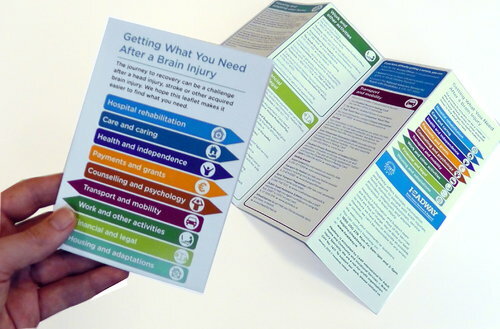 Acquired Brain Injury Ireland offers assisted living and rehabilitation for living at home. t: 01 280 4164 w: www.abiireland.ie. Rehab Care provide supported accommodation and residential services for adults with disabilities. t: 01 205 7200 w: www.rehabcare.ie. Irish Wheelchair Association offers accessible accommodation and supports people with reduced mobility to live more independently. t: 01 818 6400 w: www.iwa.ie. Cheshire Ireland provides supported living and residential services for adults with disabilities.t: 01 297 4100 w: www.cheshire.ie.